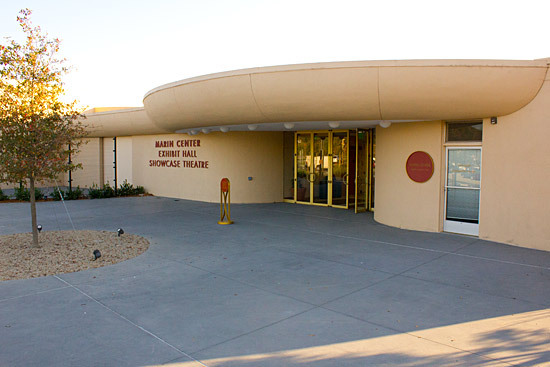 Location: Marin Civic Centre, San Rafael, CA, USA. 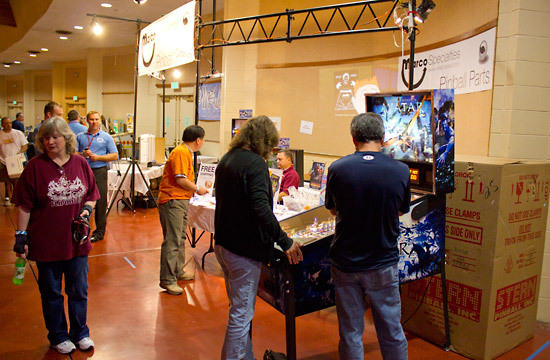 Welcome to the start of our coverage of the 2010 Pacific Pinball Exposition. 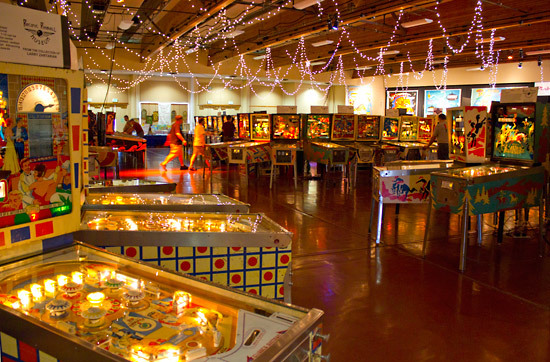 Once again we are back at the Marin Center Exhibit Hall in San Rafael, California for what has to be the world's largest pinball show. The weather couldn't have been better - temperatures in the upper 20°Cs (lower 80°Fs) with clear blue skies - which allowed the unloading and setting up to take place in the dry. The show officially opened to the public on Friday morning. 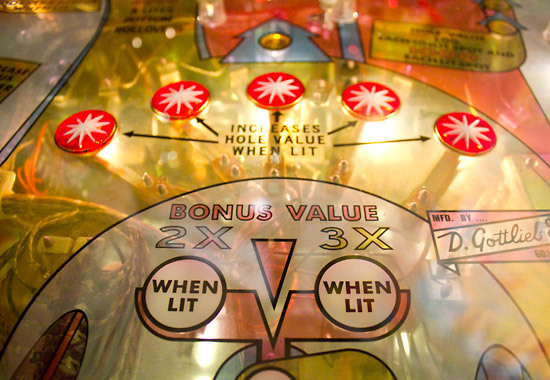 Pinball News got in before the crowds to get these early pictures of the display visitors would get to enjoy. For a first time visitor, the number of machines and their setting is quite spectacular, while even seasoned attendees will marvel at the range on offer this year. 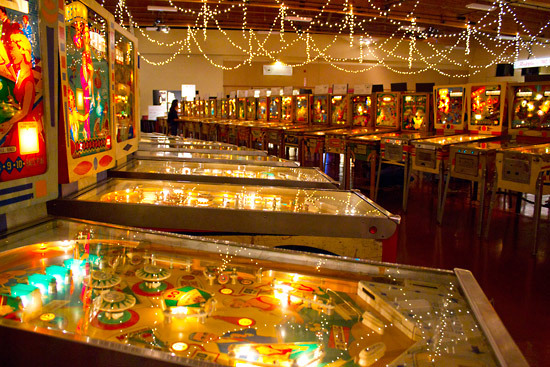 The Marin Center is a large hall and it is packed with pinball machines from all eras. 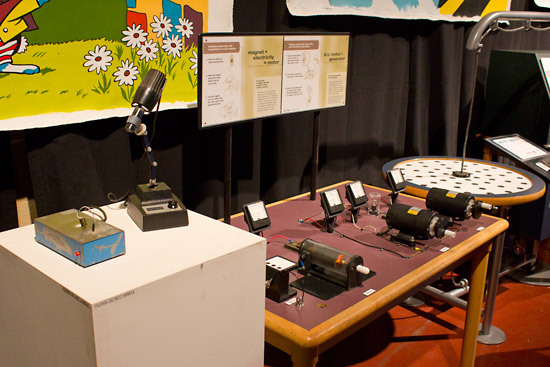 Special attention has been given to increasing the number of solid state machines from the '70s and '80s - games which have started to become more appreciated of late. One of the highlights of this year's show is a special display of classic Stern machines. 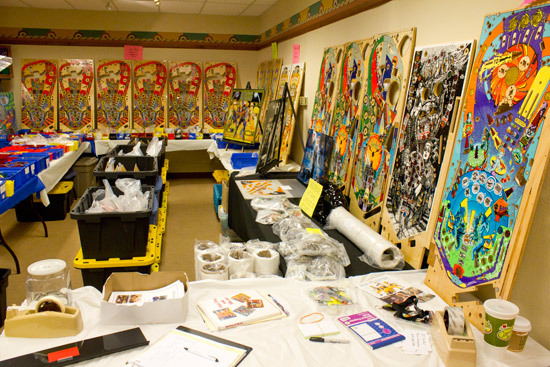 It is hoped to get one of every model set up in the hall in chronological order. By Thursday evening the organisers were well on their way to achieving that goal, with more machines arriving every minute. When Friday rolled around, the line up was complete. All 34 production models were represented and were rapidly mobbed by a crowd eager to relive memories from the '70s and '80s. 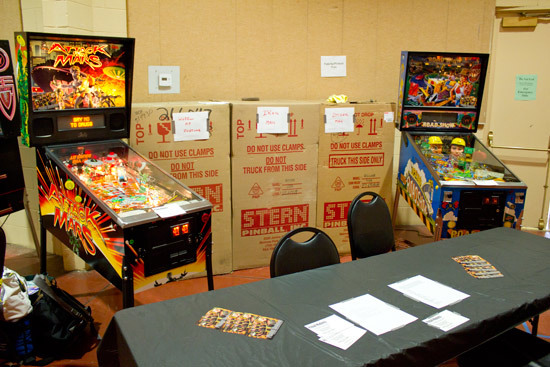 There were also several different types of coin-op amusement machines set up at the show, ready to be played. 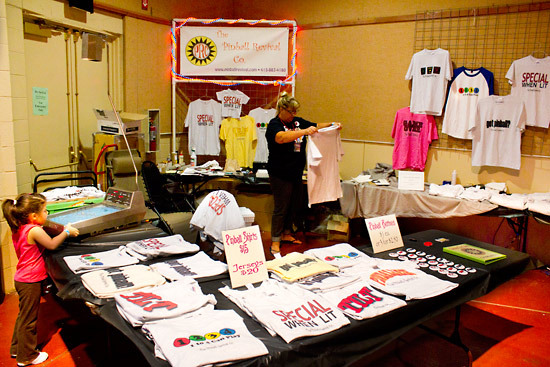 Two of the machines in the full list were also raffle prizes. The Gorgar and the High Hand would be awarded to the luck winners from prize draws on Saturday and Sunday. These were far from the only prizes. 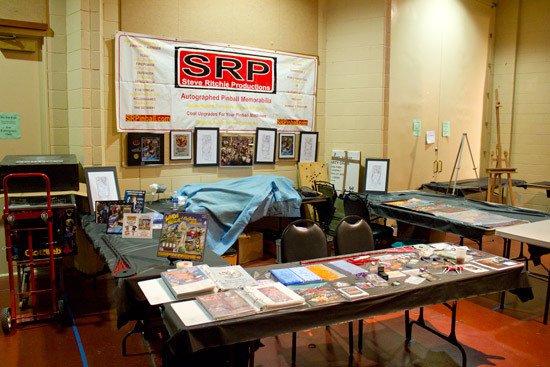 Two large tables were laden with additional donations to the raffle. 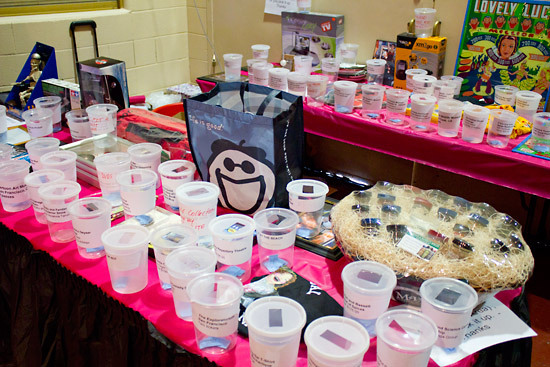 Ticket buyers could choose which of the prizes they wanted to be in with a chance of winning by placing their tickets in the appropriate container. 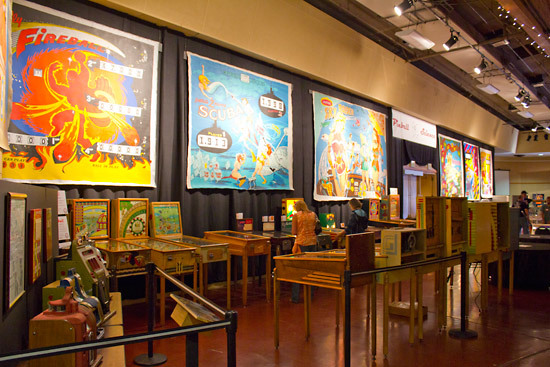 Beneath the huge canvas murals of classic backglasses by Dan Fontes and Ed Cassel, a display of some of the earliest pinball machines shows how the game developed from its roots into the form with which we are most familiar. 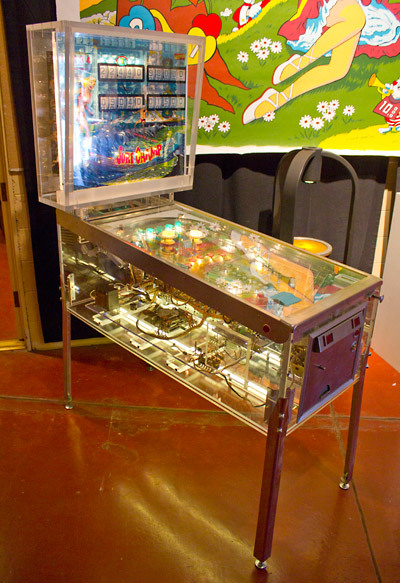 The Visible Pinball machine is also here, giving visitors the chance to see the workings of an electro-mechanical Surf Champ. 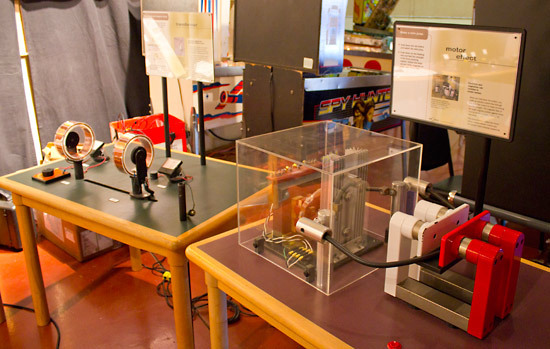 The theme of this year's PPE is 'The Science of Pinball', so there were several hands-on exhibits set up to demonstrate different aspects of the way electricity and mechanics combine within the game. There were plenty of vendors setting up on Thursday evening with Stern Amusements being one of the first to put their wares on display. When the show opened to the public, many more had joined them. Fabrite/Pinball Fun had 2 machines set up as demonstrators (Attack from Mars and Road Show) plus 3 more new-in-box Stern games (Wheel of Fortunes, Ironman and Spider-Man). 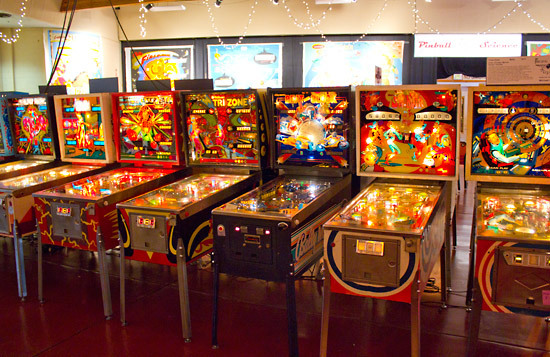 Next door were Fabulous Fantasies who had the Retro Pinball King of Diamonds. This King of Diamonds was a little different as it was fitted with a rather ungainly ticket dispenser on the right hand side of the cabinet to increase its appeal to redemption operators. The attached flyer announced the game would be available from December 15th at a price of $3695. Marco Specialties had a large stand right next to the Pingame Journal booth. 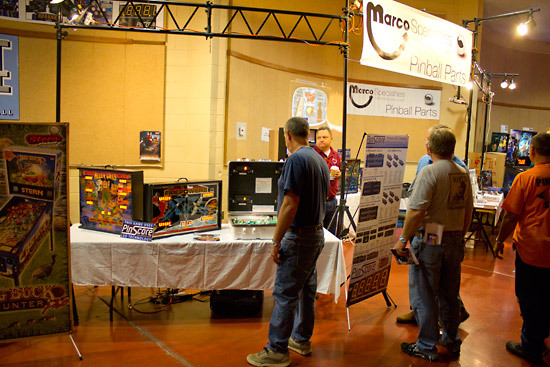 Marco were not only selling their usual parts and their range of PinScore displays and replacement boards, they were also the destination for anyone wishing to play the new Stern Avatar game. Cointaker had a full range of LEDs on display and available to purchase, while next to them The Pinball Revival Co were selling pinball T-shirts and badges. 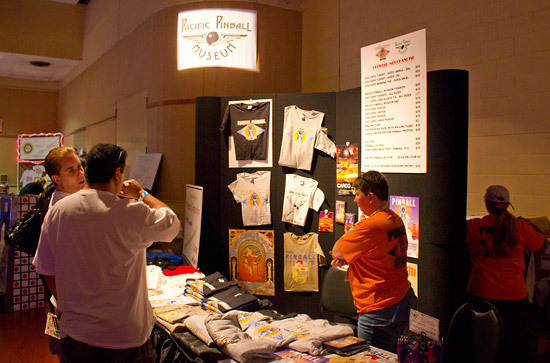 The main entry desk was also selling t-shirts and assorted show-related goodies. 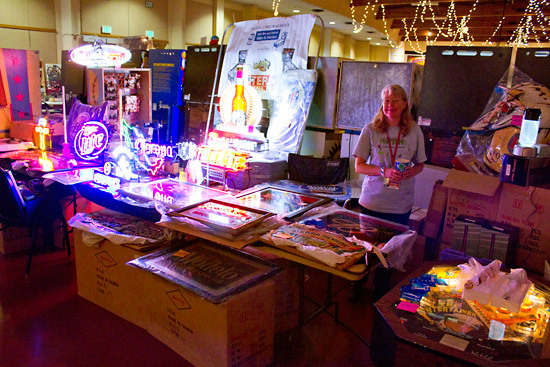 Opposite them, Don's Custom Service had a variety of bar-style signs, mirrors and neons for your game room. 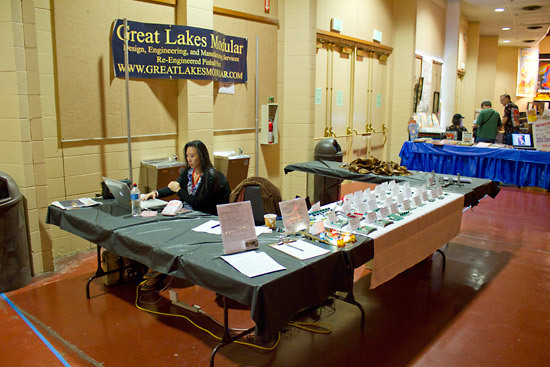 The left side of the hall also played host to numerous vendors. 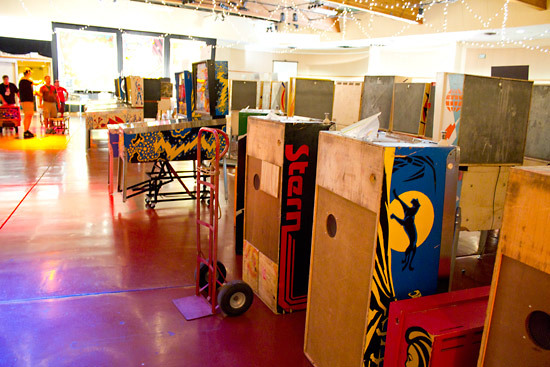 R+T Amusements had a real assortment of pinball parts as well as illuminated translite frames. Great Lakes Modular were also in attendance with their replacement circuit boards and a pinball 2000 LCD monitor bracket. 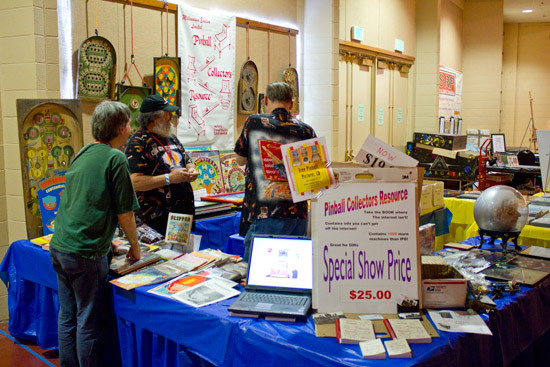 Further down the hall, the Pinball Collectors Resource booth was selling all kinds of parts, flyers and glasses for older games. 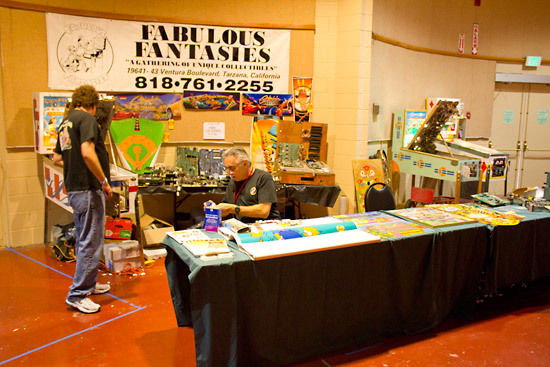 Next to them, Steve Ritchie was side-by-side with Doug Watson, selling unique pinball parts and imagery. 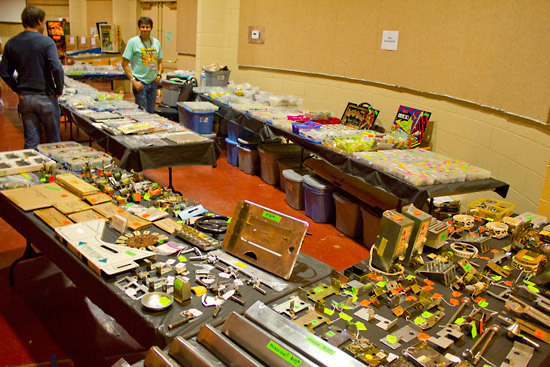 Extra space has been allocated to vendors this year. 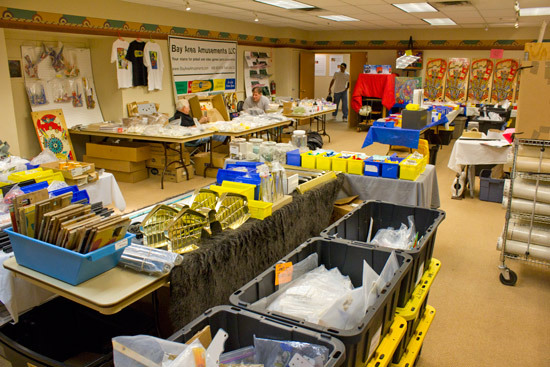 Illinois Pinball and Bay Area Amusements had taken over last year's seminars room - situated just off the passage into the main hall - to sell their wide range of parts. 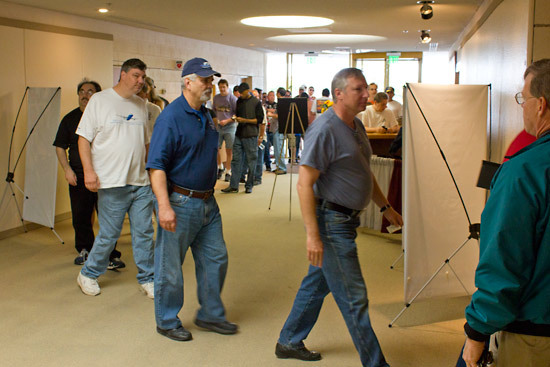 The use of the room resulted in the seminars moving into the adjacent Embassy Suites hotel, which is where the majority of visitors to the Exposition were staying. 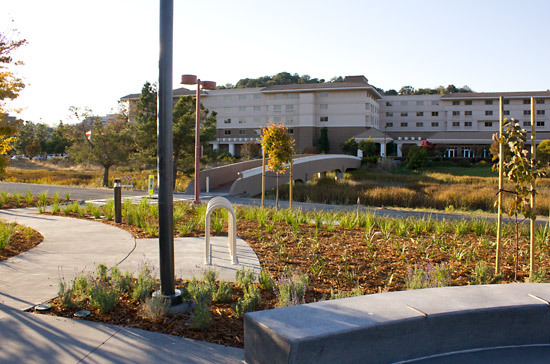 A short foot bridge connects the hotel and the Marin Center. 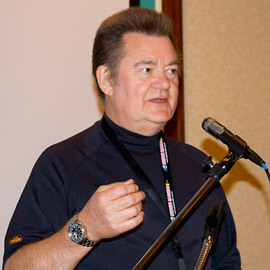 There was a packed schedule of 16 seminars across all 3 days of the show, starting on Friday at midday and we have audio recordings of most of them available right here. 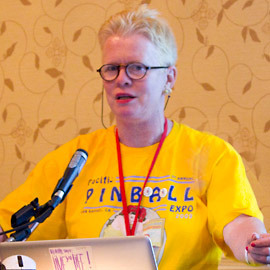 Melissa spoke about the different fashions and trends captured in pinball artwork over the past eight decades while Dan explored the work of a number of contemporary and historic artists and the possible exchange of pinball ideas they represent. 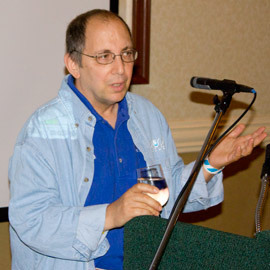 Click here to play the MP3 file, or right click to download it. You can also click on the play button below to play it within this page. 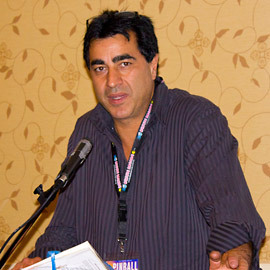 Get the Flash Player to hear this audio clip. 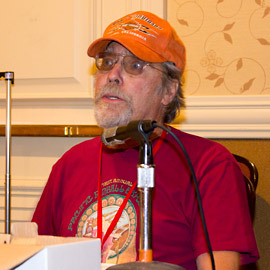 Al, Ron and Steven described how Atari began in the games business, who and what the influences were in dictating the direction the company took, and how Atari pinball came to be set up and ultimately closed down again. Understanding how LEDs work and their benefits and disadvantages are critical in choosing whether to use LEDs and which ones are most suitable. 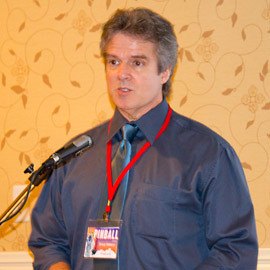 Paul described the different types of device and the development which has taken place in recent years. Greg talked about the progress of his current project with Dennis Norman - the custom EM cabinets and artwork embodied in their 'Woah Nellie! 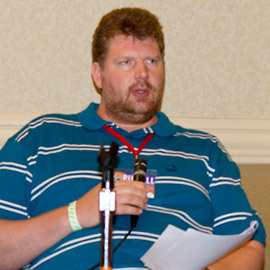 Big Juicy Melons' game. Knowing how to control the ball is key to attaining high scores and winning tournaments. Jon and Mads demonstrated how to perform many of the basic ball control techniques and the theory behind them. 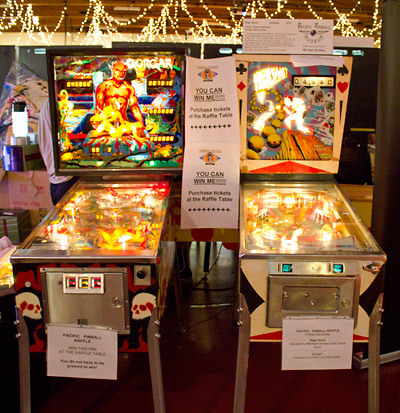 Because Mads and Jon's seminar was a hands-on, practical demonstration of pinball skills, we do not have an audio recording available. 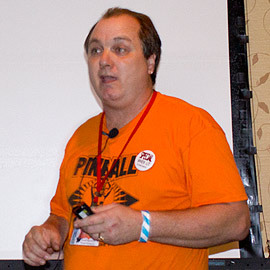 Bear is the author of 'Pinball Care & Maintenance' and in this seminar he passed on many hints and tips on how to buy your first machine and the likely maintenance you will be performing on it. 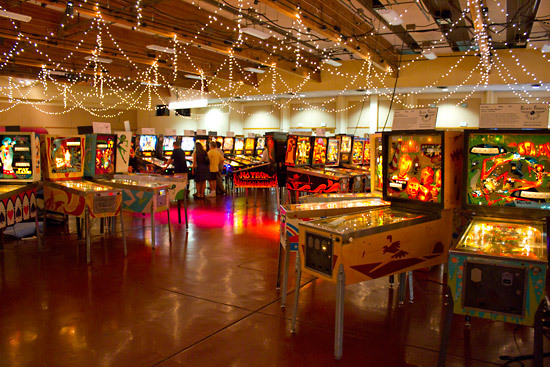 Michael and Larry talked about the way the Pacific Pinball Museum began, how it has evolved in the years since, the current state of the museum and the aims and hopes for its future. 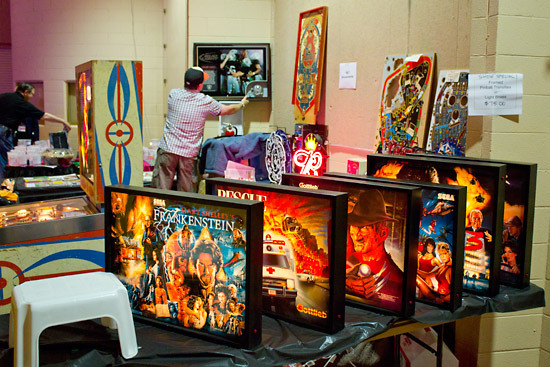 Renowned artist Doug spoke about the inspiration and creation of his many pinball artworks. He also showed a number of ideas which were either never picked up or became the concepts which were later developed into different designs. 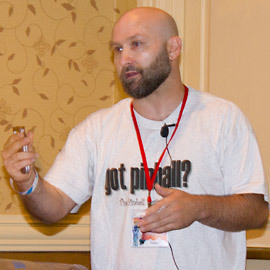 Chris explained many of the common problems which game owners may encounter and provided practical advice on ways to fix them and perform preventative maintenance to avoid future issues. Jim and Tylor explained how they restore pinball machine artwork, using a recent example to show the various tools they used and giving suggestions for the products we can buy if we wanted to follow their example. 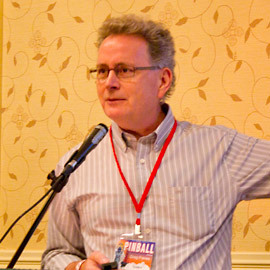 Pinball has long been associated with gambling, so Warren brought along some of his classic slot machines to illustrate his talk about how they operate, the different types available and how the collector market has developed. 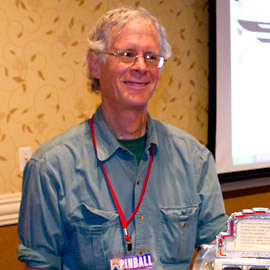 All collectors start somewhere, but the story of Todd's unique transition from NBA to pinball was related in his own words, in this amusing and entertaining seminar. 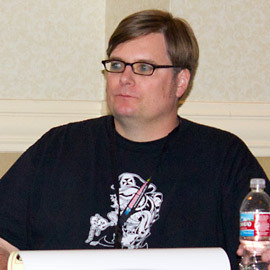 Once again, Jim brought along a varied and diverse range of video clips showing pinball's appearances and influences on television, in commercials and on film. 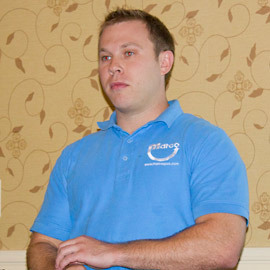 Although Jim's seminar mainly consists of video clips, we have included the audio of his introduction. 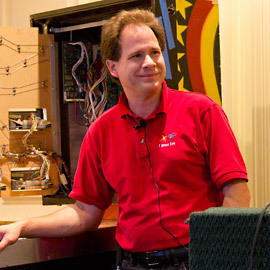 Steve gave the audience a behind-the-scenes look at how a pinball machine is designed, using AutoCad drawings of some of his designs to show the many considerations and decisions involved in the process. Beatniks Koolsville is a custom game created for James Hetfield of Metallica. 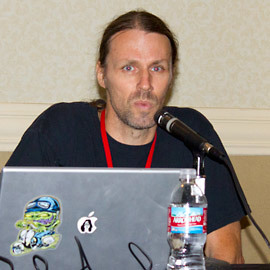 Wade showed how all the unique artwork was created from scratch for the cabinet, backglass, playfield and decals, while Tanio described the technical issued involved in producing this one-of-a-kind creation. 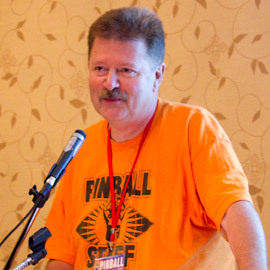 This final seminar saw Tanio, Jeri, Cliff and Greg describe how they became involved in pinball, the unique contributions each of them has made to the hobby and share their ideas about future developments and creations which could help advance the game. 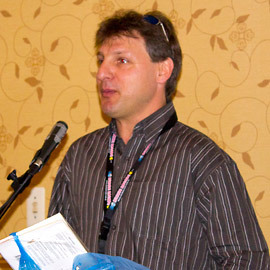 In addition to the seminars listed above, there were also two movie screenings held in the seminars room. 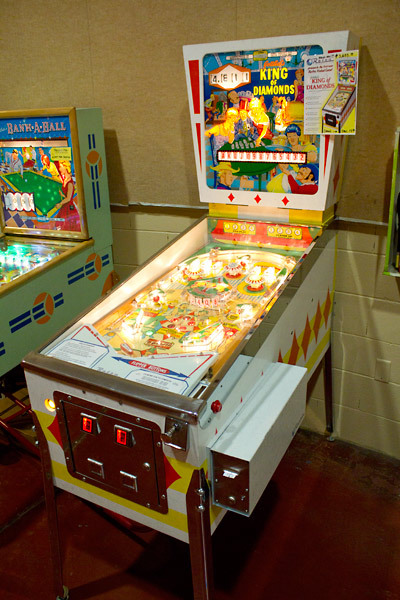 The first featured Randy & Keith Elwin's Pinball 101 instructional video, while the second was Tom Wyrsch's documentary Remember Playland about the famous Playland at the Beach in San Francisco which closed in 1972. 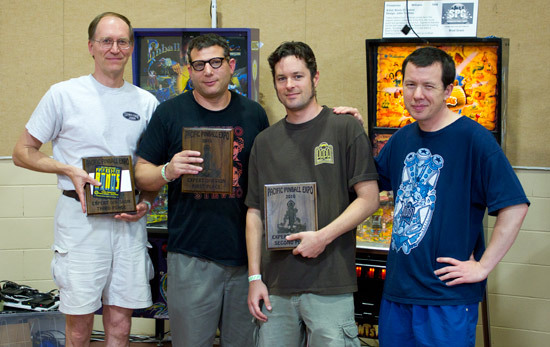 Any large pinball show cannot be complete without a number of challenging and enjoyable tournaments. PPE is no exception and World Champion Keith Elwin was in charge of them - from the adult Expert, EM, Novice and Split-Flipper divisions, to the Kids tournament and Pin Tac Toe. Cayle George was triumphant in the Classics with Josh Warren second and Jeffrey Newmann in third. 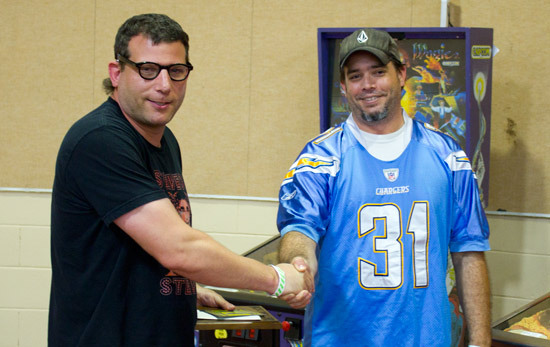 In the main Expert division, it was a win for Neil Shatz after an exciting 3 machine play-off ending on The Flintstones. 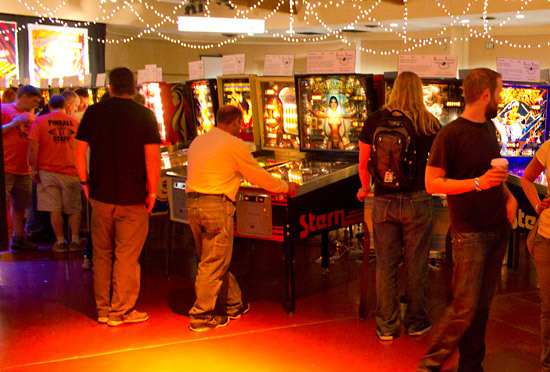 Finally, you can tour the Pacific Pinball Exposition 2010 for yourself with our exclusive Four Minute Tour video. Just click on the picture below to play the video. Get the Flash Player to see this video clip.